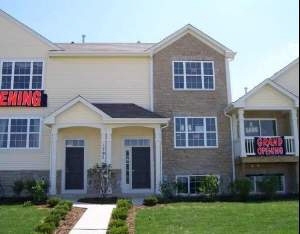 Description: Taxes: NEW, Spectacular timber glenn townhome boasts quality & style! This beauty offers great flowing 1st flr w/fantastic oversized kit w/island & big eating area! Liv rm & din rm are airy/open! Huge mstr bed & bath. 2nd bed & loft. This quality home sits in natural setting for enhanced privacy! Fin bmt, all appl included, $10,000 off bldr incentive-limited time offer!